Tips to Keep Your Dog Safe in the Summer Heat (Graphic) – dog-gonnit! Your cat or dog might really love the warm weather of spring and summer, but your pet can also be super stressed by changes in heat and humidity. Say, for example, that you've let your dog go on a mid-afternoon run with you. Think about their paws touching the pavement: They're not wearing shoes, so that scorching ground comes into direct contact with their delicate pads. And that can be painful. And their panting? It may quickly turn into difficulty breathing or an increased heart rate. 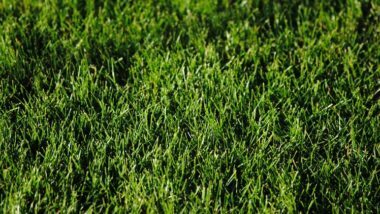 All this is to say that your pet needs the same level of tender loving care as you do when it comes to very hot temperatures and increased humidity. And some dogs are at more of a risk for symptoms than others. Flat-nosed breeds, for example (bulldogs and pugs, to name just two) have a more difficult time because it's harder for them to pant. What else should you watch for and what can you do? This graphic explains it. 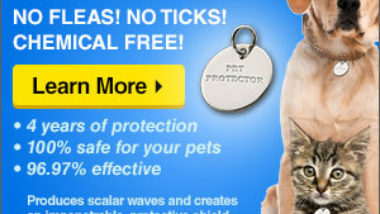 No More Ticks and Fleas for Your Pet!